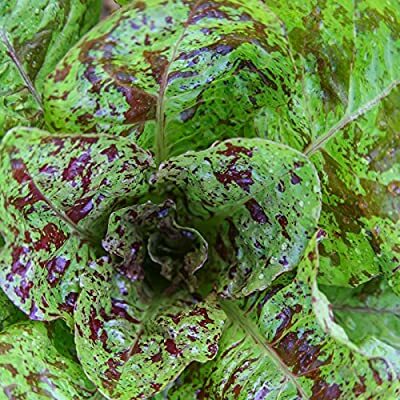 Freckles Romaine Lettuce Garden Seeds. Lactuca sativa. Also known as Forellenschluss, Speckled Trout Back, or Flashy Troutback. Annual. 55 days. 20,000 seeds per oz. 18-24" height. 10-12" spacing. Produces loose conical heads with red speckled bright green leaves.